Packmage CAD software is a free packaging design software for corrugated cardboard and folding carton packaging, it has dieline and box structure predefined in the library, with Parametric design and 3D box modeling features, designers can work more efficiently. Packmage CAD provides structural design of folding carton, packing box 3D animation shows and other functions. It has a wealth of box template library, the user simply enter a few necessary parameters to complete the design of box template structure diagram, combined with the file output, texture, three-dimensional animation exhibition of powerful features, customers and your box-type structure designer , graphic designers and production departments can quickly and accurately interaction. Graphic designers often need more time to understand the structure of the designer’s intent, understanding the folding process of packaging, the idea of forming effect, application packaging magician, graphic designers and structural designers to be able to learn in almost the same time, a box of folding process and the white-like effects, a magician from the packaging graphic design documents required to export and to complete the design, the designer can be graphic design articles “posted” on the “structure draft,” three-dimensional shape preview effect. 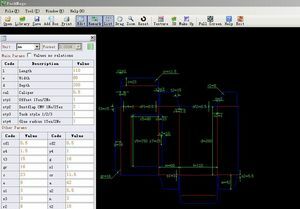 Packmage CAD 3D feature increases productivity and communication through virtual prototyping. 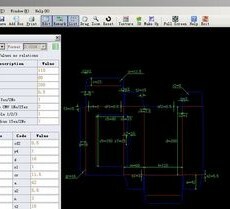 With a rich database of predefined design shapes, designers only need to modify the parameters on the existing shapes to get the final structural design done. The final design file can be exported as many different file formats and can be imported into other graphic design applications. At last, Step and repeat feature offers the best box step and repeat solutions to lower down cost.